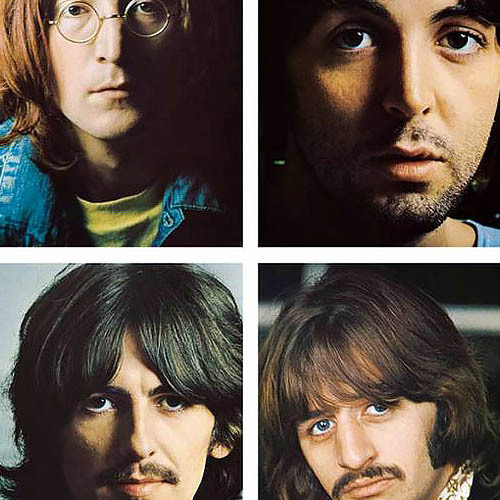 This is the first time The BEATLES (‘White Album’) has been remixed and presented with an additional disc demo recordings. To create the new stereo audio mixes for THE WHITE ALBUM, Giles Martin and Sam Okell worked with an expert team of engineers and audio restoration specialists at Abbey Road Studios in London. 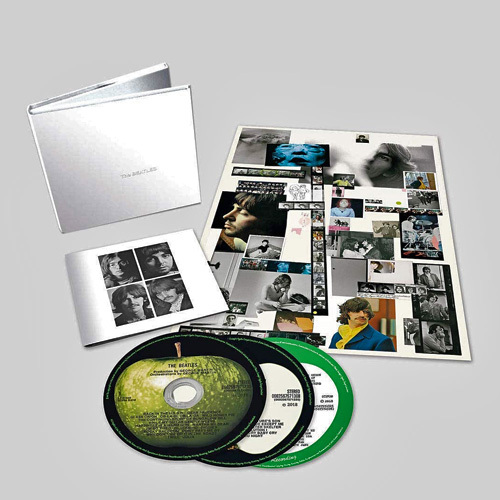 This 3CD WHITE ALBUM release includes Martin’s new stereo album mix, sourced directly from the original four-track and eight-track session tapes. Martin’s new mix is guided by the album’s original stereo mix produced by his father, George Martin. During the last week of May 1968, The Beatles gathered at George’s house in Esher, Surrey, where they recorded acoustic demos for 27 songs. Known as the Esher Demos, all 27 recordings are also included in the 3CD Deluxe package, sourced from the original four-track tapes. The Deluxe 3CD set is presented in an embossed digipak with the fold-out poster and portrait photos, plus a 24-page booklet.